Contact me atRyan@IllumiNationHoops.com for customization assistance. Website is currently undergoing some changes, if you see any discrepancies, please don’t hesitate to contact me with questions. -Thanks! Collapsible to half its original size (2x coil). Choose from a pre-designed setup or customize your own! All the LEDs are controlled by a single on/off switch. LEDs can be chosen from any of the options on the LED Options page. It’s like having two hoops in one! Each circuit is controlled by an independent on/off switch. 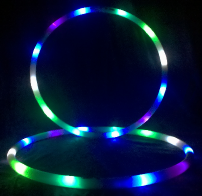 Use as two minis or combine to get one full size hoop! 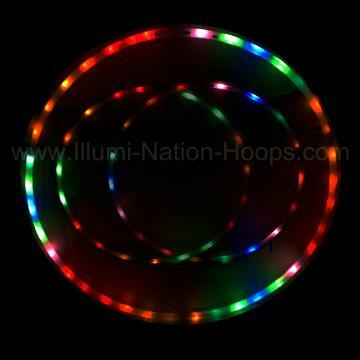 Multi-mode hoops which use an RGB strand in the hoop to create a uniform effect throughout the hoop for each mode. Multiple Mode Packages to choose from, even customize your own! 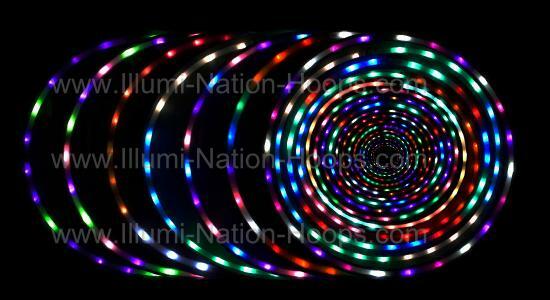 Single or Multi-circuit hoops with multiple modes automating the channels. 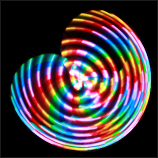 Static color pattern with motion animation through the hoop. Use the power of the sun to charge your hoop! 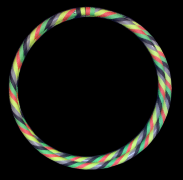 My hoops are customizable in many different ways to fit all the different types of hoopers. 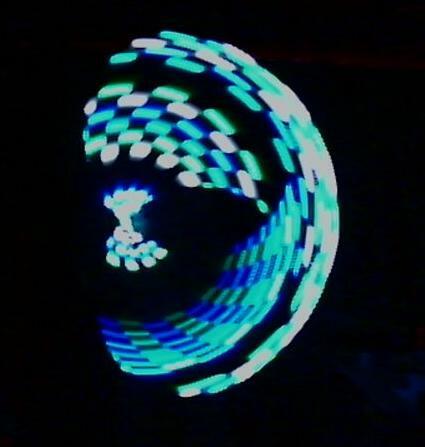 I have been designing and building hoops for 2.5 years and have over 15 years of electronics and engineering experience going in to each hoop. 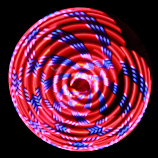 I can design and build custom control effects to create just about any effect you want to see in your hoop. 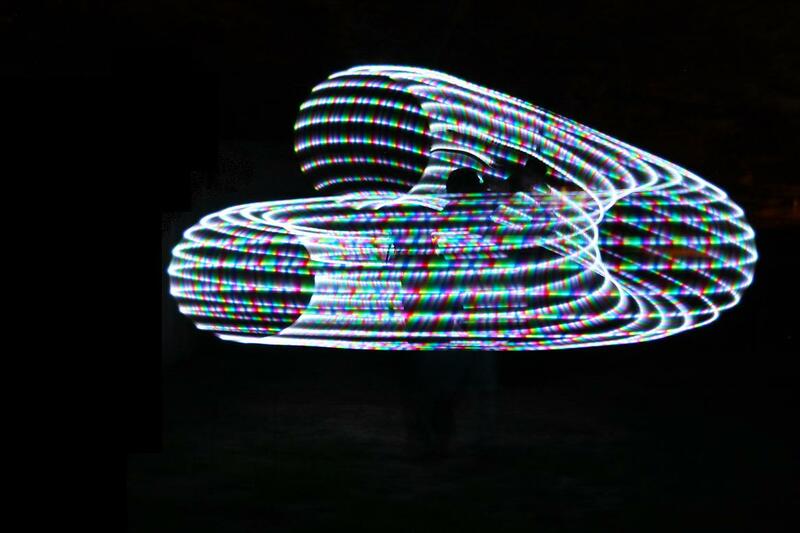 There are 3 built in rechargeable batteries spaced evenly to make the hoop as balanced as possible. Each hoop is good for up to 1000 recharges and comes with a recessed recharge jack to make recharging the hoop nice and simple. 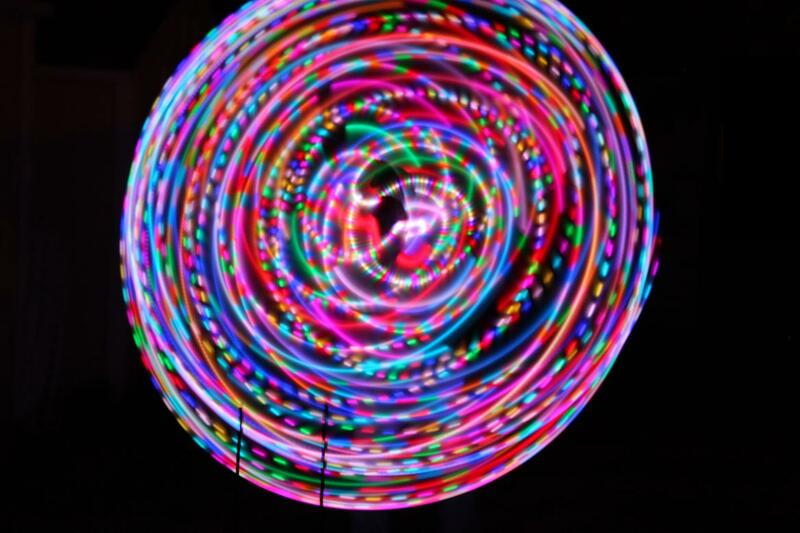 Indicator light lets you know that your hoop is charging and when it is fully charged. Internal auto shutoff protects the batteries from overcharging or over-discharging. Batteries are covered by the warranty, guaranteed to work for 2-years or they will be replaced for free! My hoops collapse by doubling (coils) over into half its original size. It is even fun to throw around in this collapsed state. The quick connect makes it so you can easily break down the hoop with the push of a single button for travel or to maneuver through crowds. Fluorescent Tapes are Black Light Reactive!